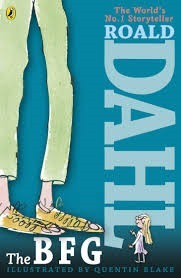 BFG- Roald Dahl- My favourite Roald Dahl book is Danny Champion of the World, but the BFG is a close second. I grinned from ear to ear, I laughed out loud, and I even nodded in grave seriousness. if the book is great- the movie will be stunning! 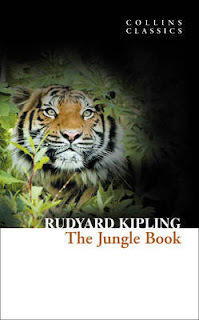 Jungle Book- Rudyard Kipling; No this is not your Disney movie - Kipling wrote a fantastic series of short stories, only a few of which include Mowgli. Baloo is not a lazy idiot, Kaa is not a bad guy, SherKahn is killed rather then run off, the wolves are not always the noble good guys... this is VERY different then our cotton candy Disney film. And so much more enjoyable for it- read the book!!! AND the new movie is so much more connected to the book than the cutesy Disney one! "The boy could climb almost as well as he could swim, and swim almost as well as he could run; so Baloo, the Teacher of the Law, taught him the Wood and Water Laws. Then, too, Mowgli was taught the Stranger's Hunting Call, which must be repeated aloud till it is answered, whenever one of the Jungle-People hunts outside his own grounds. It means, translated: 'Give me leave to hunt here because I'm hungry'; and the answer is: 'Hunt then for food, but not for pleasure.'" Ruby Redfort - The series!